Did you know we offer monthly payments and 60 days interest waived on service and repair work? It never fails. You take your car in for routine maintenance and several hundred (or thousand!) dollars later, you are stuck with a hefty bill. 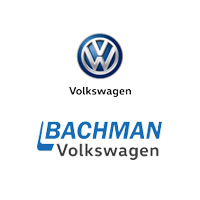 That’s where Bachman Volkswagen steps in. Costly vehicle repairs can really put a wrench in finances, so we want to extend a helping hand to get you back on the road. We’ve partnered up with DigniFi to offer our customers a way to finance expensive service projects. Bachman Volkswagen and DigniFi make it easy to apply and qualify with the simple online application. Receive 60 days of no interest with loans beginning at $350.